How would you rate your experience with Ancestry.Com ? In 1990, two Brigham Young University students began tracking family tree information and making it available to other LDS members via floppy discs. By 1994, their original company, Infobases, was being sold on CD’s out of their cars. In 1995, these CD’s sold for $300. Ancestry.com took the business online in 1996. While the company had been offering free access to Ancestry.com at LDS Family History Centers, that service was terminated on March 17, 2007, because the company and the LDS Church were unable to reach a mutually agreeable licensing agreement. In 2010, Ancestry restored access to its site at Family History Centers. Today, Ancestry.Com is the largest for-profit genealogy company in the world, with revenue in 2015 of $683.1 million. As of late 2018, the company claims to provide access to approximately 10 billion historical records, have 3 million paying subscribers and to have sold at least 14 million DNA kits. In 2012, the company was acquired by private equity group Permira Advisors for $1.6 billion. Clients provide a sample of their DNA to the company for analysis. 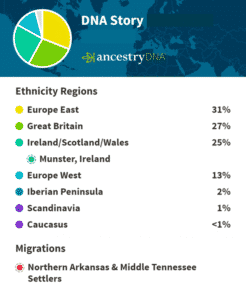 The company then uses DNA sequences to infer family relationships with other Ancestry DNA users and to provide what it calls an “ethnicity estimate”. Some people experience unexpected surprises, such as author Dani Shapiro, who found that the man she believed was her father actually wasn’t, and a Wisconsin man who discovered that he had 5 siblings, whom his mother had given up for adoption, he was unaware of. In 2015, Ancestry partnered with Calico, which is a subsidiary of Google, to focus on longevity research and therapeutics, in an effort to investigate if there is human heredity to lifespan. Headquarters for Ancestry.Com is located in Lehi, Utah. Question 1: What is the phone number for Ancestry.Com? Answer 1: The phone number for Ancestry.Com is (801) 705-7000. Question 2: Who is the CEO of Ancestry.Com? Answer 2: The CEO of Ancestry.Com is Mary Margaret Hastings Georgiadis. Question 3: Who founded Ancestry.Com? Answer 3: Ancestry.Com was founded by Paul Brent Allen and Dan Taggart in 1990. Want to make sure Ancestry.Com sees your comment or complaint?